Cricket is a team game. And, like in case of all team sports, a cricket team, too, is held together by the captain. As the leader of the team, a captain has to take care of how to maintain balance in the team, be it in terms of focus or temperament. He has to know when to stay calm in the face of stress and keep his head clear to strategies the match. The captain is the pillar of success in a team. Let’s take a look at the top 10 most successful cricket captains of all time, based on the highest number of wins achieved. A good leader is not the one who gives orders and expects that everyone will follow them; a good leader must be smart and strong enough to help the other players. Captains can make or break a good game. On another hand, the captain might also face all kinds of negativity if the whole team loses a match. It is his responsibility to take all the reactions, may it be positive or negative. Here are the most successful cricket captains 2019. In the 10th place on our list of the most successful cricket captains, with most wins in the Tests, ODI and T20I, is former Sri Lankan captain Arjuna Ranatunga. He played for the national team from 1982 to 2000 and led the team in 249 matches between 1988 and 1999. During this time, Ranatunga helped in winning 101 matches, including the 1996 World Cup. He hit a win percentage of 40.56. He was nicknamed Captain Cool for his temperament and is credited for bringing the spotlight on Sri Lanka. Another most successful cricket captains of Sri Lanka is Mahela, who led the team between 2004 and 2013 during his international career between 1997 and 2015. During his career, he achieved a win percentage of 54.3, having led his team to gain victory 101 times in 186 matches; this win percentage puts him ahead of Ranatunga. Jayawardene helped Sri Lanka do amazingly well Cricket World Cup 2017, Cricket World Cup 2011, ICC World Twenty20 2009 and ICC World Twenty20 2012 as the captain. A cricketer riddled in many controversies, both on and off the field, former Indian cricketer Mohammad Azharuddin’s success cannot be taken away from him, despite his lifelong BCCI ban. He is one of the most successful cricket captains, based on the number of victories, having won 104 out of 221 matches during his captaincy from 1990 to 1999. He represented India from 1984 to 2000. The victories helped him achieve a win percentage of 47.05 as the captain of the Indian team. Aussie legend Steve Waugh played for his nation from 1985 to 2004 and is an ICC Cricket Hall of Fame player. He played as the captain for his team between 1997 and 2004. During this time, Sri Lanka played 163 matches under his captaincy, and won in 108 of them, including World Cup 1999. Waugh thus hit an incredible win rate of 66.25 percent, making him, quite rightfully, one of the best cricket captains in the world, including Test, One Day International, and Twenty-20 International cricket. The former leader of the Proteas, Hansie Cronje, might have been banned for life from the world of cricket because of match-fixing scandals, but he was posthumously voted as 11th greatest South African, two years after he died in a plane crash in 2002. He started playing in 1992, becoming the captain of the South African team in 1997 and ending his tenure as the captain with his cricketing career in 2000. During this time, he achieved a win percentage of 65.96, winning 126 out of 191 matches. Former cricketer Stephen Fleming is a celebrated player and a noteworthy captain of New Zealand national team. He represented his national side from 1994 to 2009. Fleming was the winning captain of ICC KnockOut Trophy 2000, the only ICC trophy of the country till date. He was also the first captain for his country in the world’s historic first Twenty20 International. Between 1997 and 2007, he led his team to win 128 out of 303 matches, with a win rate of 42.24. He made a miraculous captaincy stats not only just for his nation but also among the whole world. Baggy Greens legend Allan Border started playing for Australia in 1978 and received captaincy of the team in 1984. The role he played till the end of his career in 1994 when he retired as his country’s most capped player. He also retired as the highest run-scorer in both ODI and Test at that time. During his tenure as the captain, this sports legend helped his team amass 139 victories in 271 matches, reaching a win percentage of 51.29. One of the best left-handed batsmen of all time, Captain Grumpy, has appeared in the second highest number of test matches as the captain. The left-handed batsman and occasional off-break bowler Graeme Smith is a former cricketer of South Africa. He represented the team in all formats of cricket, between 2002 and 2014, and received the captaincy a year into his career, performing the responsibility till the end of it. Under his leadership, South Africa played 286 matches and won in 163 of them. With his national squad, he had a win percentage of 56.99, making him one of the noted captains of his country. Without any doubt, Smith is one of the most successful cricket captains in the world, based on the number of wins. Mahendra Singh Dhoni joined the Indian team in 2004, and although he has resigned from Test cricket recently, he is still going strong in the rest of the formats. He captained the team in all formats from 2007 to 2016 and led the team in a composed way. Leading the team in 332 games, he tops the list of captains with most matches. One of the greatest wicketkeeper-batsmen, Dhoni, helped India win 178 of them during his tenure. His achievements include World Twenty20 2007, Asia Cup 2010, World Cup 2011 and Champions Trophy 2013. He led the Indian team with a winning rate of 53.61 during his time. Leading the list of the most successful cricket captains with the highest number of wins is former cricketer Ricky Ponting, who represented Australia from 1995 to 2012. One of the greatest cricketers of all time, Ponting, served as the captain from 2002 to 2012. During his tenure as the captain, he led Australia to a massive 220 victories. His career success includes two World Cup victories in 2003 and 2007. He hit an incredible win rate of 67.90. The period of his captaincy is regarded as the golden era for the Australia national cricket team. It is to be remembered that we have named the most successful cricket captains based on the number of wins they have led their teams to. The number of matches they played in obviously has a huge part to play in it. There was a time when Test matches were not that frequent. The ODIs came much later. And T20I was completely out of the picture. The captains of that era built great teams and led confidently. Captains like Richie Benaud (Australia, 1958-1964), Gary Sobers (West Indies, 1965-1972), etc. had a class of their own. Mansoor Ali Khan Pataudi (India, 1962-1971/1974-1975) may have captained and won in a small number of matches, but he is still regarded as the greatest captain of the country, a title some fans want to give to Sourav Ganguly (India, 1999-2005) who built a powerful, confident, and go-getter team. Yesteryear captains like Clive Lloyd (West Indies, 1974-1985), Mike Brearley (England, 1977-1981) played matches that no one can forget. 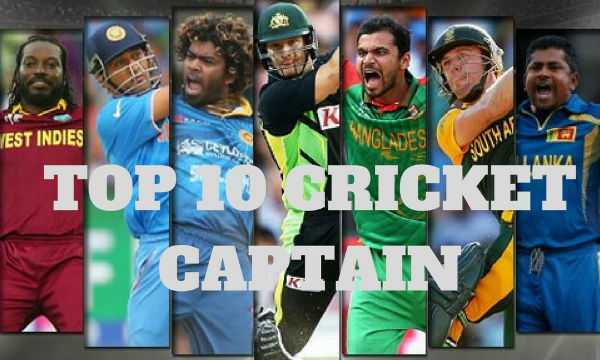 Who among the above Successful Cricket Captains are your favorite captains? Or, do you want to see some other names on this list? Let us know in the comments below!